Why Should You Go Local? 1. The lender was not familiar with the second home vs. investment property concept, and was not able to provide adequate counseling to my client as to the differences, and their best alternative. 2. The lender selected the appraiser from a pool of professionals from outside of the area, and the appraiser was not familiar with the unique market of cabins and homes that we have here. 3. The communication between the out of state bank and the professionals here was poor– the flow of documentation was slow, folks were left out of the “loop” when decisions were made, resulting in loss of many days of time during the transaction. These things caused the buyers a lot of frustration and anxiety as the closing date loomed closer and closer without a clear understanding of the exact status of the loan. Think about it– would you ever contact a real estate agent in Cincinnati and ask them to assist you in finding a home in Gatlinburg? Of course not– because you would want the expertise of someone who worked in the local market every day, and who knew it inside and out! That’s why The Terrell Team partners with Wells Fargo’s Terrie McVey. Terrie is the Home Mortgage Consultant at Wells Fargo Home Mortgage, and has been working with Century 21 Four Seasons agents here “on the mountain” for over ten years. 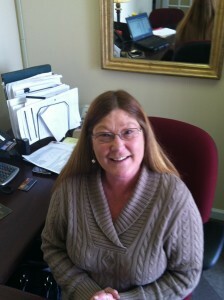 She’s managed the financing for literally hundreds of homes in the Gatlinburg/Pigeon Forge area! Like The Terrell Team, Terrie is an award-winning pro– in 2013 she was ranked #28 in sales nationwide, and was inducted into the Wells Fargo Leader’s Club. Terrie knows the second-home / investment / retirement home market inside and out. That’s why our Team feels so comfortable referring clients to her for advice– even if they are just beginning their exploration of the idea of a home in the Smokies. She’s friendly and helpful, and will help you figure out your budget for a new home, identify any areas that need some attention on your part, and provide you with available options. The programs and interest rates offered by Wells Fargo are competitive or even lower than others, so it’s definately worth an intial contact.